What is a Bid Bond? and When do you need a bid bond? 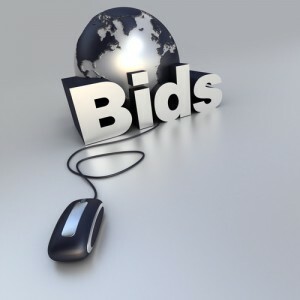 A bid bond is issued as part of a bidding process by the surety to the project owner to guarantee that the winning bidder will undertake the contract under the terms at which they bid. The deposit is subject to full or partial forfeiture if the winning bidder fails to either execute the contract or provide the required performance and/or payment bonds. The bid bond assures and guarantees that should the bidder be successful, the bidder will execute the contract and provide the required surety bonds. The Bid Bond prequalifies the principal and provides the necessary security to the owner or general contractor, or “obligee”, guaranteeing that the principal will enter into the contract, if it is awarded. A Bid Bond guarantees that the “obligee” will be paid the difference between the principal’s tender price and the next closest tender price. This action is only triggered should the principal be awarded the contract but fails to enter into the contract, as agreed, with the obligee. The bid bond penalty is generally five (5%) percent of the bidder’s tender price. Contractors prefer the use of Bid Bonds because they are a less expensive option as they do not tie up cash or bank credit lines during the bidding process. Owners and general contractors also use Bid Bonds because they establish and confirm that the bidding contractor or supplier has the support of a Surety Company and is qualified to undertake the project.